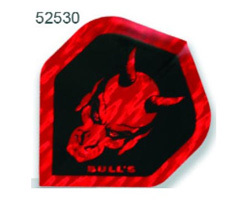 Flights come in many different shapes / colours and designs, and is one of the items that will be broken first, a bad flight make the throw worse, so always keep some spare flights when you throwing darts or participating in tournaments. It’s also important to spread your flights when you mount it on the shaft. Make sure of that the angels are around 90 degrease, and not flat mounted, if the flights are not properly mounted the darts is not that stabilized when you throw them. 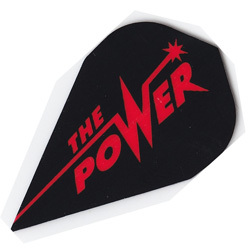 Flights are necessary for the dart to stabilize in the air when you throw it. Why do flights come in different shapes? Wing surface area affects the flight of the dart. As a guide, slim or kite shapes are better on lighter barrels. 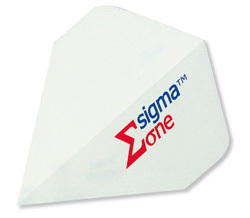 This type of flights is most used by soft darts players. 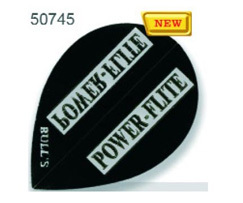 Whilst, pear, standard and vortex shapes are suitable for medium to heavy darts, and used by steel darts players. You can use all flights on most darts it all depends on your throwing style, so my advice is to try out different shapes and figure out witch shape fits your throwing style. Here are some different standard flight shapes, and some of their unique quality. Lightweight Flights for lighter darts. 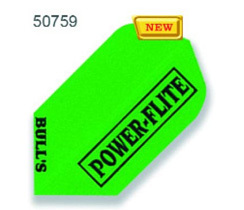 Especially good for soft tip darts. These extra large flights (13 % bigger then plus shape) give extra lift and are becoming increasingly popular with top players. The original flight shape that's now a standard shape worldwide as it's an ideal general purpose flight that suits all styles of play and dart / shaft combination. Unique Dynamic shape for added lift. Innovative aerodynamic shape, lot of great designs out there, one of my favorite flights shape. Radical smooth flow flight shape. An aerodynamic balance of form and function.